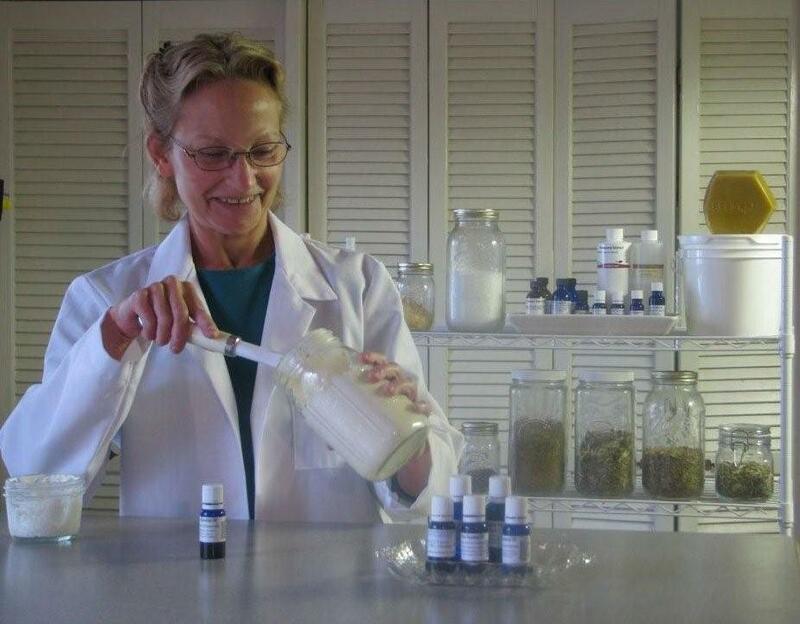 Current research from the "Skin Deep" Cosmetic Safety Database shows Garden of Eve skin care products are among the highest rated in safety for both people and the planet. Many consumers don't realize that beauty products can be packed with double value, beautifying not only their skin but the planet too, and that consumers themselves can now research their own products in a publicly available database. Skin care products can have a huge negative impact on the planet due to the synthetic chemicals they frequently contain. Garden of Eve products bring a unique, beautifying experience to consumers every day through the use of carefully selected whole plant ingredients, perfect for green gifting. Consumers today want to make a difference in the world in as many ways as possible, and with a careful selection of natural skin care products based on informed and accessible research, it is possible to leverage purchasing power to not only beautify their skin, but the planet as well. "Doing well by doing good" is a concept that is really catching on, and by purchasing products that reduce carbon footprint and promote environmental sustainability, everyone can do their part without going outside their current budget or buying extra products that they normally wouldn't purchase. In these tough economic times, great values can still be found that resonate with a planet-friendly worldview and a desire to make the world a better place. 3. Search by product type e.g. cleanser - Go to the lowest scores; '0' is the lowest hazard/safest product. A "face for the ages" (not an aging face), and a healthy radiant appearance can be achieved using pure natural plant ingredients, like those found in Garden of Eve Skin Care systems and affirmed through superior ratings in the Cosmetic Safety Database. Even better, their use can help to protect the planet. In her book, "Drop Dead Gorgeous," author Kim Erickson writes, "Many of the ingredients used in cosmetics are environmental pollutants. Along with the waste produced during the manufacturing process, millions of gallons of synthetic chemicals are washed down the drain and into the sewer every day. "But what can be done to stop this? By purchasing safe and "Green" this holiday season, shoppers can truly make a difference. And why not be sure about what we use on our skin? It's the largest organ of the body and the doorway to good health. Garden of Eve products lead the way in safety scores and have delighted consumers since the company was founded in 2003. Garden of Eve was created by Eve Stahl, a health consultant and beauty expert with a passion for protecting the planet. "We don't need to sacrifice our health for the beauty of our skin, and likewise we don't need to sacrifice the health of our planet to have beautiful skin. Excellent results can be achieved with ingredients from nature." Eve's own experience with environmental sensitivity and sensitive skin issues led her on a journey that eventually resulted in the creation of her own company. She built Garden of Eve based on green business practices, such as using reusable and recyclable packaging materials from suppliers' shipments and local stores that would otherwise end up in a landfill. Using plant ingredients rather than synthetic petro-chemicals, printing on recycled paper, and choosing Energy Star rated electronic equipment are some of the other green choices that Garden of Eve makes in doing its part. Eve is also a participating member of the Green America Business Network and a signer of the Compact for Safe Cosmetics.Together, both of these non-profit organizations exemplify the two guiding principles on which she developed her company - safe for people and safe for the planet. Do something special for the planet this holiday season by thinking green when purchasing special gift items for friends and family. For green gift ideas see what Garden of Eve is offering this season. Make Holiday Gift Choices a Gift for Our Planet. 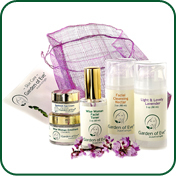 Garden of Eve produces and distributes 100% safe and ecologically-friendly skin care products. 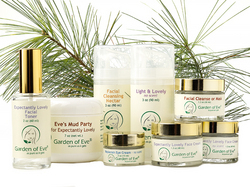 For more information on Garden of Eve and its founder Eve Stahl, please visit http://www.gardenofeveskincare.com. Also on FaceBook (garden-of-eve-skincare) and Twitter(@eveskincare).